Linda Spackman began practicing yoga in 1984 and began teaching in 2000. Linda's classes include asana, pranayama, Yoga Sutra and Vedic Chant. In addition to her classes at Yoga Source, she teaches with Surya Little and Prajna Yoga, at the Vedic Chant Center in Santa Fe, NM. In each class, Linda imparts her joy and underlying reverence for all aspects of yoga. Her teaching style is accessible yet challenging for all levels of practice, from beginner to lifelong practitioner.Linda is a devoted student of Sonia Nelson, with whom she regularly studies the Yoga Sutras, Bhagavad Gita, Vedic Chant, Pranayama and Meditation. Sonia, a certified teacher trainer and yoga therapist, and a long time personal student of TKV Desikachar, is a rare teacher whose gift is imparting an understanding of both the tradition and depth of yoga, and how these teachings apply in everyday life.Linda also treasures the opportunity to study asana with Patricia Walden, one of the most senior teachers of Iyengar yoga. Linda is continually inspired by Patricia's dynamic teaching and the devotion and refined elegance of her practice.A longtime prenatal and postpartum teacher, Linda specializes in yoga for all phases of a woman’s life. 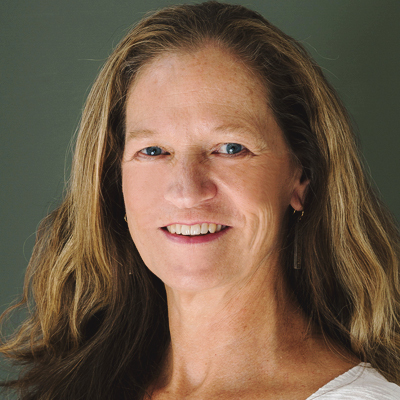 She conducts the Prenatal Yoga Teacher Training Intensive, and co-teaches with Surya Little, the Yoga and Women’s Health Program for Prajna Yoga.In addition to public classes and intensives, Linda enjoys working one-on-one with students in private settings. With a keen eye for alignment and broad understanding of yoga practices, Linda supports students progress step by step through structured self-practice.